The Ultra Nurture™ is a natural, vitamin enriched, antioxidant, moisturizing cream for the face and body, and a gentle exfoliate. Being milder than Perrin’s Crème Complete, and lighter in consistency than the Nutra Cream, the Ultra-Nurture is perfect for those looking for a gentle anti-aging cream to use as a daily moisturizer. -Great for a daily moisturizer. -Contains grape seed extract and CoQ10 for a corrective and anti-aging effect. -Jojoba oil helps give balance to oily skin. -Alpha Lipoic Acid helps to reduce fine lines and wrinkles. Refreshingly light, softening, and therapeutic. Like the Creme Complete™, the Lotion Rejuvenation™ contains a high combination and concentration of vitamins and antioxidants to help correct damaged skin caused by sun exposure, environment, and stress. An all natural formula designed to lessen the affect of lines and wrinkles for younger, healthier looking skin. A gentle, purifying complex to protect against free radical damage and to revitalize aging skin cells. A combination of the finest softening emollient oils to soothe dryness. The Lotion Rejuvenation™ is truly one of the most exquisit lotions on the market. 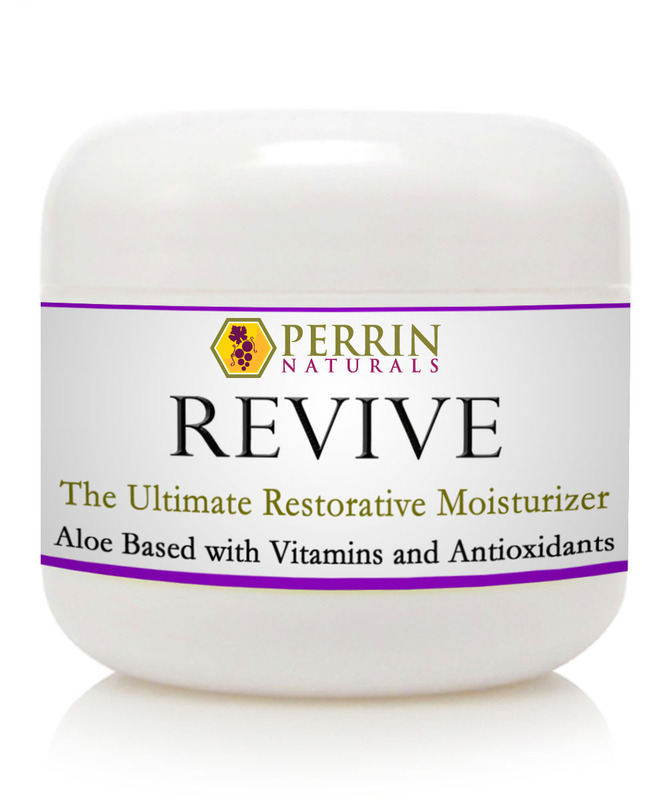 -A whole body revitalizing moisturizer. -Resveratrol and grape seed extract to help correct and restore damaged skin. -An array of antioxidants to fight free-radical damage: CoQ10, alpha lipoic acid, N-acetyl cysteine, vitamin C and E.
-Alpha lipoic acid to fight fine lines and wrinkles. -Jojoba oil to help balance out oily and acne-prone skin. -Moisturizes, and locks in moisture. -Soothing ingredients nurture and renew sensitive, dry, and weather damaged skin. -Protects chapped and exposed skin. A multi-faceted approach to skin rejuvenation and restoration. A corrective anti-aging formula for sun-damaged skin, rosacea, age spots, lichen sclerosus, abnormal skin tissue, and overall skin health. -Sun-damage has been reversed. Age spots have returned to normal, healthy looking skin. -Actinic keratosis has been corrected. -Lichen Sclerosus has been put into remission, and the skin rebuilt. Many of our customers are referred to us by their doctors, without us ever soliciting the doctors. -Dry skin cleanser and revitalizer. -An aftershave for legs as well as other parts of the body. -A skin protectant and moisturizer. -Massage therapy to relax tired muscles and reduce minor aches. -Great for restoring damaged cuticles. Jojoba Oil is an all natural vegetable oil extracted from the Jojoba bean. Jojoba Oil is actually a liquid wax that is structurally very similar to the natural sebum produced by our own skin. Jojoba oil is non-toxic, non-allergenic, and does not clog pores. It is safe to use around the eyes and does not leave a greasy residue. Jojoba Oil is an antioxidant, is antibacterial, and is a natural fungicide. It has been shown to improve acne, help hair loss, cure cradle cap, and relieve sunburn. Jojoba Oil can also be used as a massage oil or just to nourish, revitalize and moisturize the skin. We use the finest organic Jojoba oil. -Great to use as a massage oil. Unscented, Pure, Organic Jojoba Oil. Organic Jojoba Oil. Enriched with Vitamin E.
Ingredients consist of a careful selection of oils that include grape seed oil, organic castor oil, sweet almond oil, organic extra virgin olive oil, natural vitamin E in soy oil, essential oils of lavender, lemon, and peppermint enhanced with vitamins A & D.